I’m a fabric dye convert. Best stuff ever. This project was so easy, I can’t believe I didn’t do it a long time ago. 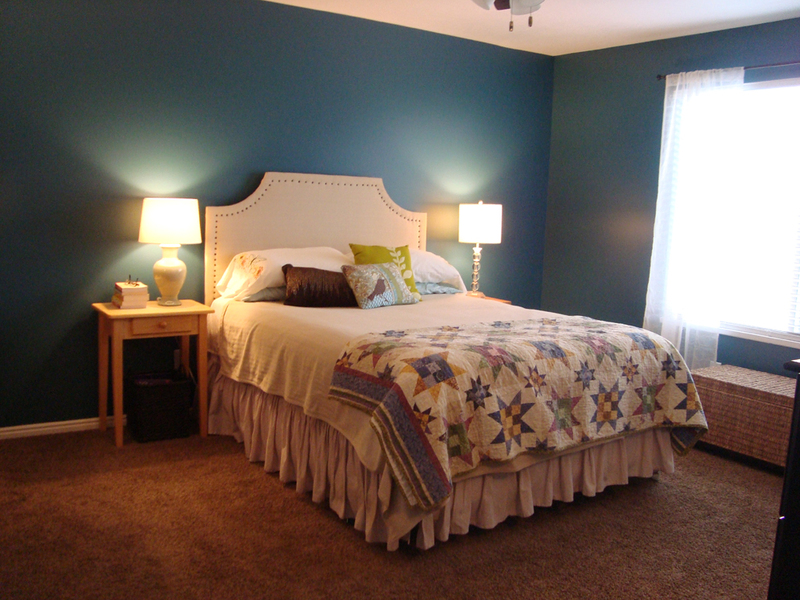 Nothing really wrong with it – in fact against the teal walls, I like nearly everything I throw in our bedroom! It’s sooo versatile, who knew? But with the duvet, bed skirt, and headboard pretty much the same color, it was kinda sorta blah. That bed skirt was a cheapo placeholder til I found one I really liked. Every photo makes it look purple, but it’s really a bright periwinkle color. Totally unique! 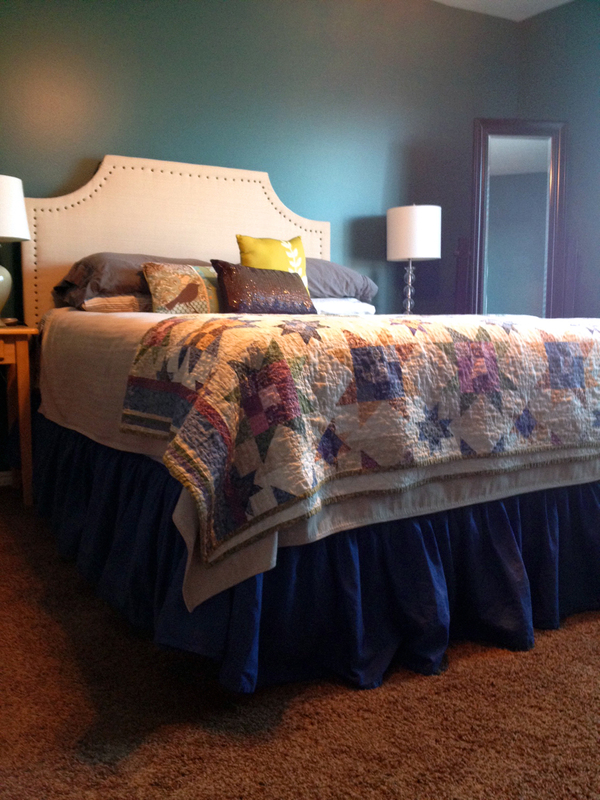 It brings out the periwinkle color in the quilt at the foot of the bed. In case you are nervous, let me assure you that fabric dying is super easy and worth a try. Just follow the directions on the package – if you have a top loading washing machine it’s fast and convenient and mess-free. Nice! It really does brighten up the room and I’m still in love with that teal color on your walls.